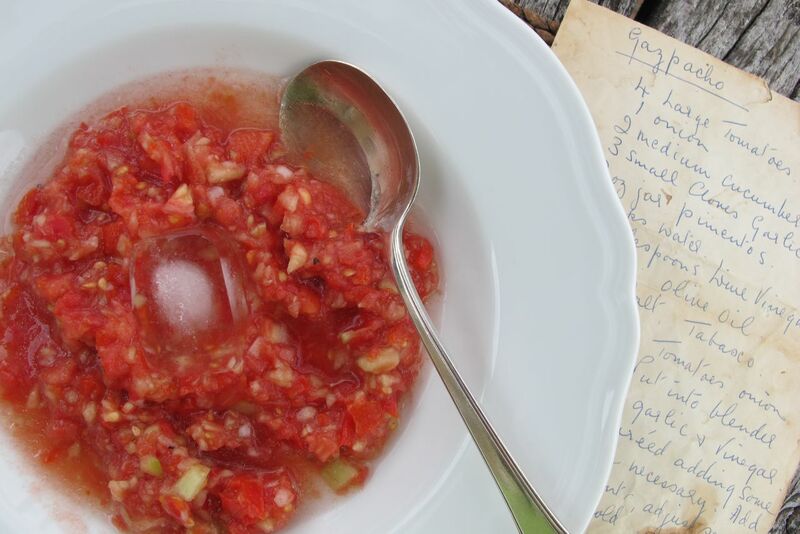 In a comment today Sheila England asks if I have a recipe for gazpacho soup. This was published a year ago. As the tomatoes are ripening–at last, here it is again. 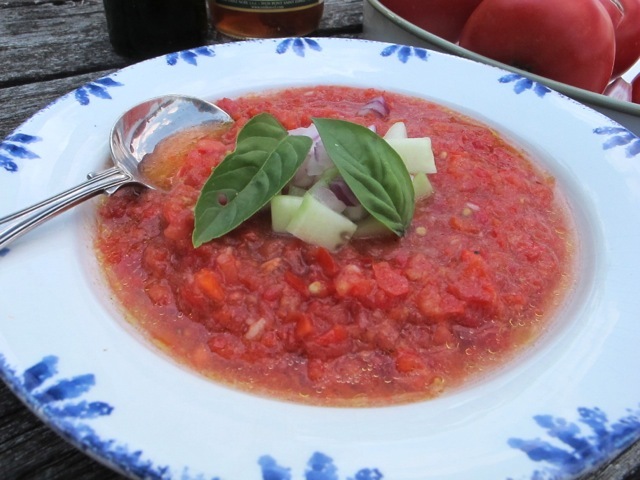 It’s worth waiting for the sun to work its magic on the tomatoes before making this simple garlicky version of the classic summer soup–served cold. A few whizzes of the food mixer then the addition of oil and vinegar and it’s done. Chill it for as long as possible–if you can make it the day before all the better–and serve it with some finely diced peeled cucumber and spring onion (scallions to our north American friends). 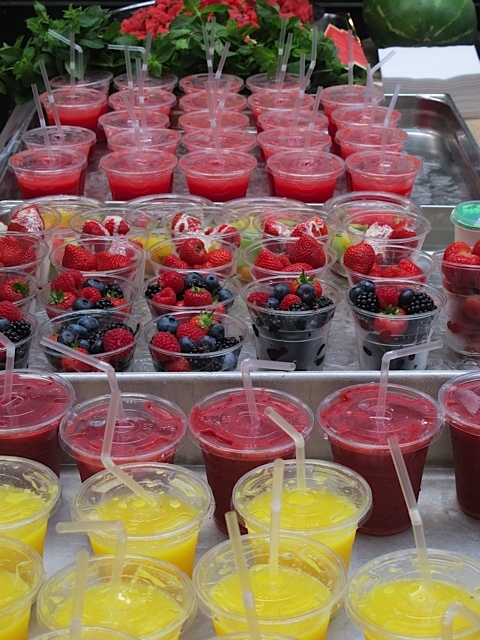 Best served on a hot, sunny day. Best eaten in the shade. Mix these in a food mixer–but not too smoothly. Chill for 4 to 5 hours–or overnight. 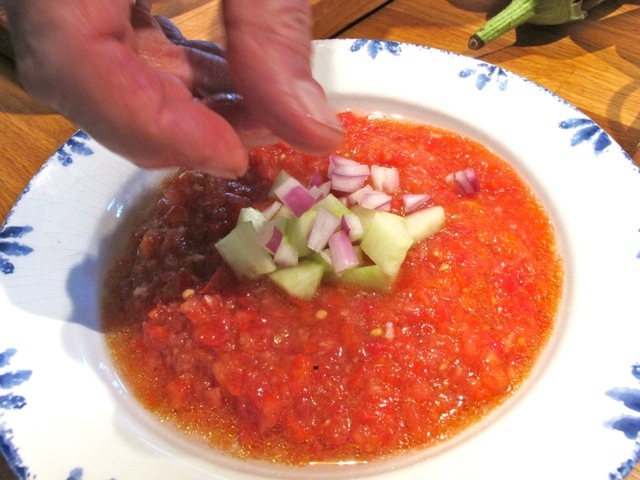 A garnish of cucumber and red/spring onion–diced small–in bowls on the side for people to add as they please. You might chill the empty bowls in the fridge two hours before serving–for perfection! 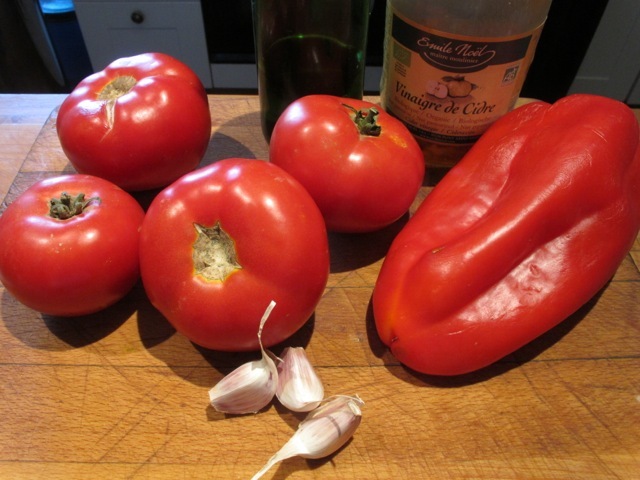 The level of acidity varies with the tomatoes and the vinegar. You could start with 3 tablespoons of both oil and vinegar, then add more vinegar if it needs it. 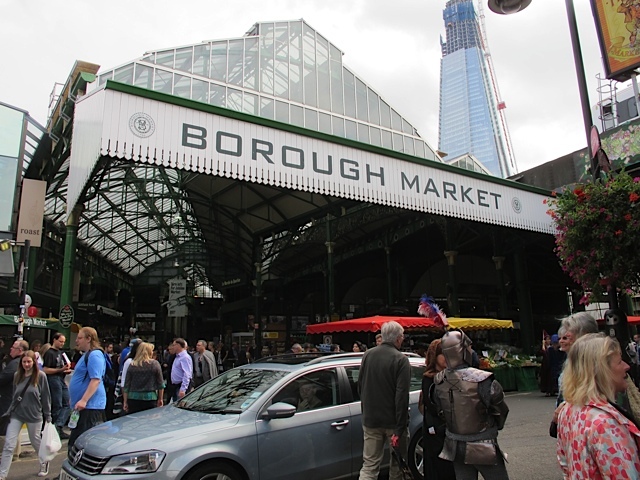 To Borough Market–as Sam Pepys might say–Saturday morning in search of the perfect tomato. They grow them on the Isle of Wight–there’s a micro climate there. 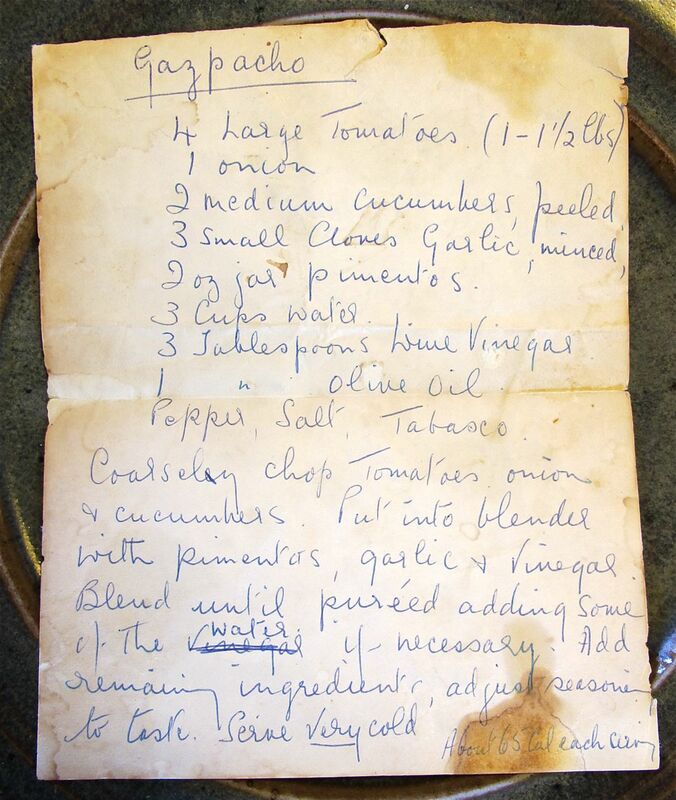 I plan to make Ma’s Gazpacho for the London launch of the cookbook–can’t have too many launches! used to be great. Growers and producers arriving from all over to sell their stuff to enthusiastic foodies. A meeting place of like minds with complementary needs. to eat mainly on the hoof–while checking out what else is on offer. 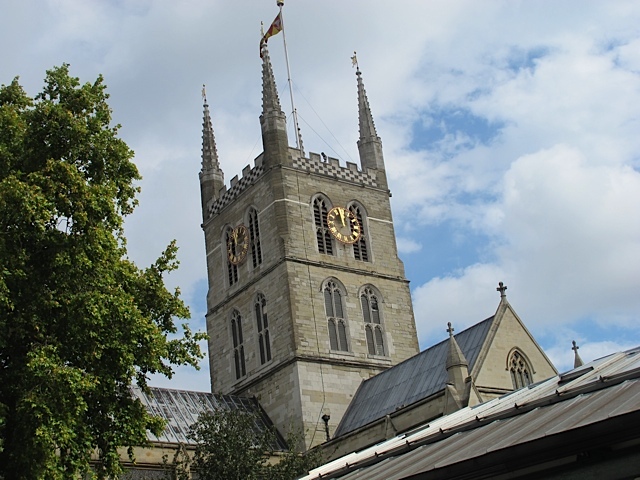 Back to Waterloo (where we are staying) to think again–in search of inspiration now. 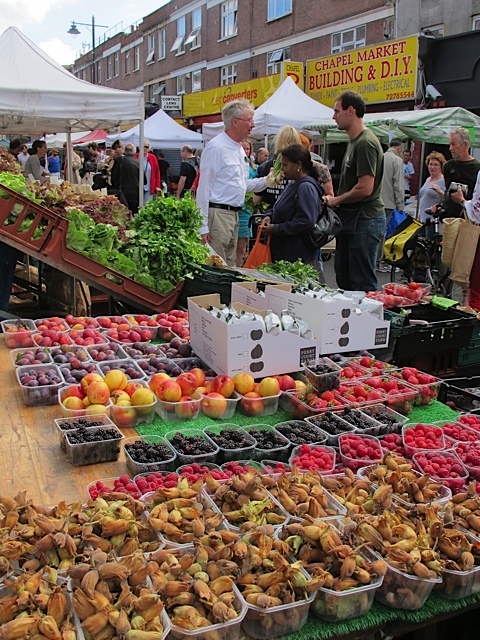 I suddenly remember a Sunday market in Islington and google it–of course. Sometimes you want to kiss the Internet! Whoopee and off we go this morning. “Freshly picked Isle of Wight Tomatoes” says the sign! Quest over. 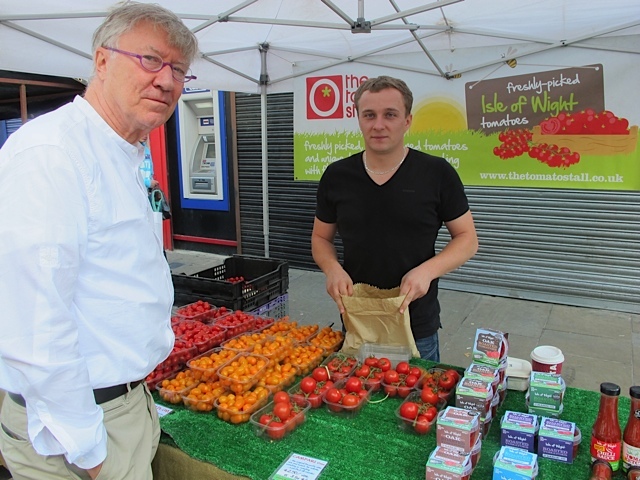 And sold by the grower, a delightful fresh-faced young man from…Poland! 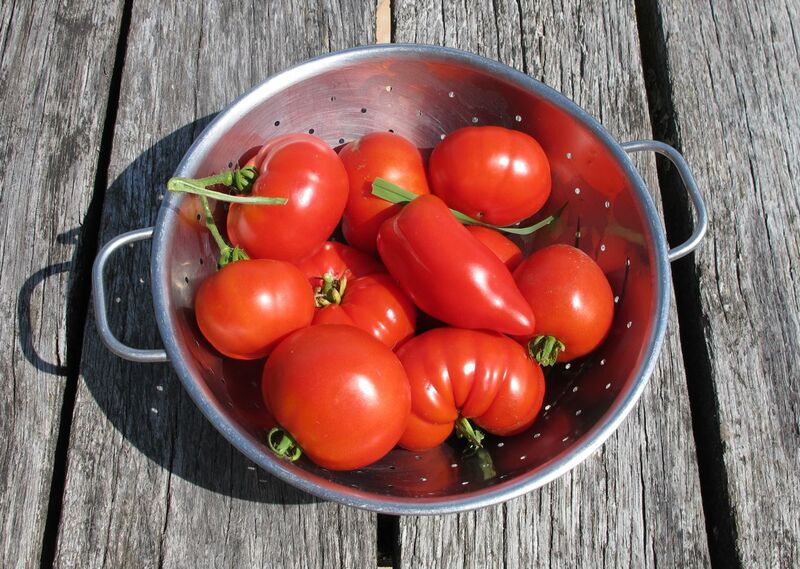 (Not famed, as far as I know, for its tomato crop). He knew his tomatoes though–they’re tasty. 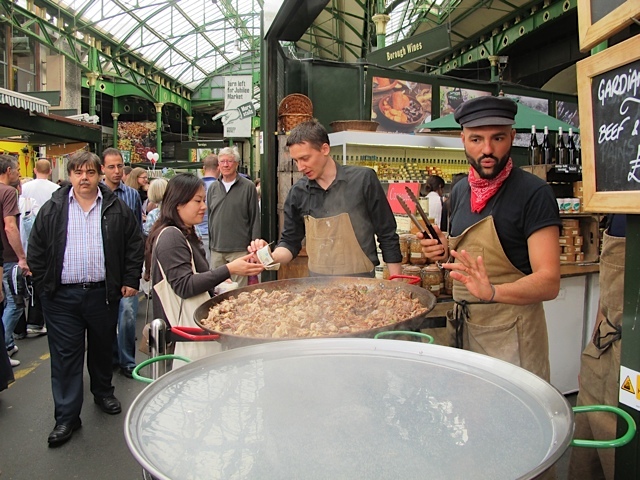 Delighted, relieved, ladened down (5 Kilos)–I go to two more stalls and find the remaining ingredients. Search over–now to make it. It’s a fair bet my Mother first tasted this traditional summer soup from Andalusia in 1953–when my parents took brother Peter and me to the Costa Brava for a two week holiday. Dad worked for British Railways and got a certain amount of concessionary travel in Europe. There were five hotels at that time in Lloret del Mar (five hundred plus now!). We stayed in one of them with a pretty courtyard–twenty yards from the beach. I don’t remember the soup but the egg fried in olive oil I can taste to this day! Franco’s military police, patrolling the beach in funny hats and holding not-so-funny machine guns, also made an impression. No such thing at on the sands at Woolacombe! About a kilo collected this morning--a little more than the recipe. Chop the tomatoes roughly–and put them in the food processor. Chop up half a large, peeled cucumber and half a large, red pepper–seeded–(she calls them pimentoes) and add them to the processor. I add a couple of spring onions (scallions)–chopped. (Ma adds a yellow onion–which I’ll try next time). Mash up 3 cloves of garlic, as she does, with a little salt–and add them to the processor. Pulse the contents–not too smooth a finish. Empty this already tasty mix into a bowl and adjust the seasoning with salt and pepper. Stir in 3 tablespoons of red wine vinegar and two tablespoons of olive oil. A few drops of Tabasco–as she suggests–a matter of taste. We found a ladle each is enough–with a whirl of olive oil to finish?